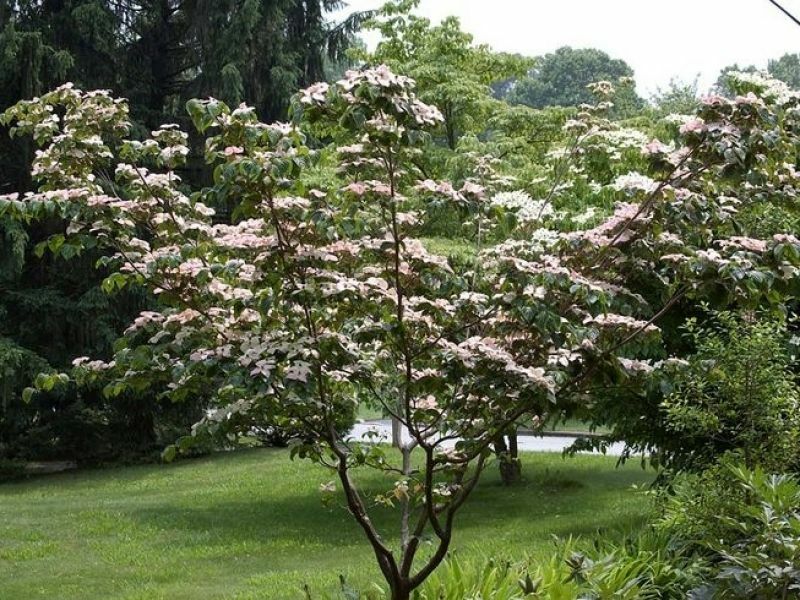 Introduced from China in the early 1900’s, Chinensis is perhaps the most consistent of the flowering kousa’s winning the RHS Award of Garden Merit in 1984. It is an elegant and open small tree which flowers on the upper side of almost horizontal branches in June after most of the spring blossom trees have finished. The flowers themselves are actually bracts and adorn the tree in large numbers opening soft green, then vivid white before becoming tinged with pink. Although the flowers are the main attraction, Chinensis goes on to produce strawberry or Arbutus like fruits which are edible (but not encouraged). Finally the autumnal display sees foliage turn rich bronze and crimson.